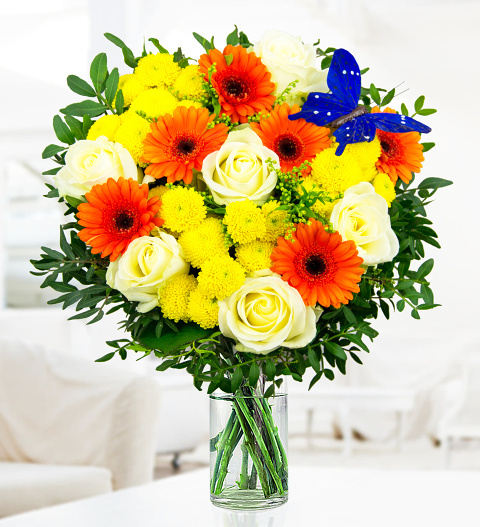 Send rays of sunlight to your lucky recipient to truly brighten their day. We have designed this sensational bouquet with avalanche roses, germinis, chrysanthemum limoncello accented with a decorative blue butterfly. Chocolates may contain nuts.